Dramatically increase moisture, elasticity and firmness. Reduce medium-to-deep crow's feet and wrinkles and diminish puffiness for an illuminated, bright appearance. Firm and restore the delicate eye area. Every day after cleansing and toning, gently pat a small amount onto the brow bone and beneath the eye and gently massage. For optimal results, follow with a Resurgence® Day or Night Moisturizer. I'm a truck driver and my eyes always tired and this product is different than the other it doesn't have a perfume so is neutral. I've been using this for over a year now. This really helps with puffy eyes and doesn't irritate my eyes. A little goes a long way - don't need much for this to work! I've used other products, but none of them have been as effective as this. Worth the price. This may be the best eye cream I've ever used. I try to use retinol treatments around my eyes, but it usually causes so many negative side effects it's not worth it. After a particularly bad attempt at using a high potency retinol around my eyes, this is the only thing I could find that soothed them and instantly smoothed the crepey skin and flakes! 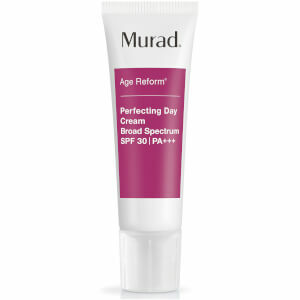 I didn't realize it had retinol in it until after I starting being amazed at the really noticeable positive results. So, it's doubly great for me; a way to use retinol successfully around my eyes, and a way to soothe lines, dryness, discoloration, and crow's feet. It works beautifully as a night cream, leaving my eyes looking fresh and healthy in the morning. A huge plus is that it never runs into my eyes, which can be a big problem for me. This stays where I want it, both under makeup and alone. I cannot believe the difference this has made in my skin, above and below my eyes. I hate the price, but it's worth it. Plus, a teeny little amount is all that's needed, so the container lasts for months and months. This cream is extremely lightweight. It disappears immediately, making skin look firmer and smoother. I love this stuff. After reading the 1/2 star reviews I can only tell you that they were probably using too much of the product. You don't need much at all. They recommend a dot no larger than a pinhead for each eye. Yes, if you use too much it does not absorb quickly. If you use the right amount, it absorbs nicely and gives nice results. Murad stresses that a little goes a long way. He's 100% right. Use this properly and you'll get decent results. It is NOT a miracle product. My fine lines did diminish after 30 days of use. I just can't believe they sell such bad product at such high price. The consistency of this cream is so thick that you can hardly smooth it around your eye area. Another bad point is, it doesn't absorb well. 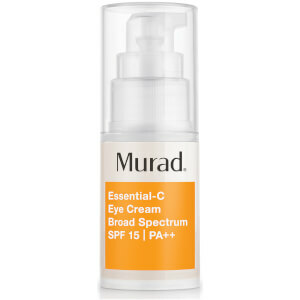 I have been using this product for about 2 months and have definitely seen an improvement in firming the undereye area. A little pricey but well worth it. Nice feel on the skin and it ends there. If anything, i saw an increase in puffiness and otherwise no effect for a pricey product.